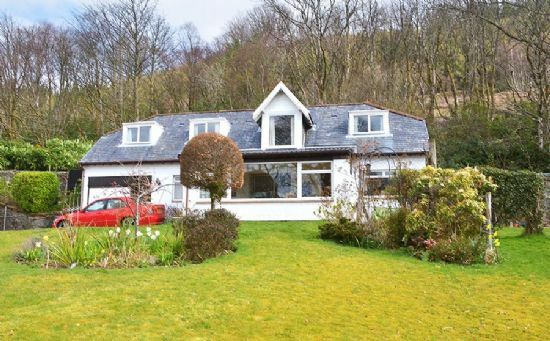 Character property with spectacular views overlooking the Holy Loch. Sleeps six very comfortably. Ideal for families with three public rooms . Downstairs double bedroom with toilet and shower adjacent. Lounge, sun lounge, with dining area, and kitchen. Upstairs a twin bedroom and a double bedroom, bath with shower over.Long lounge with lovely views and a second TV.